With Louise AKA Inspiration Knits’ Flight of Colour shawl KAL in progress (HERE) I thought now would be a good time to talk about the shawls in the Knit Play Colour book (HERE on Ravelry).. starting with Flight of Colour (obvs). 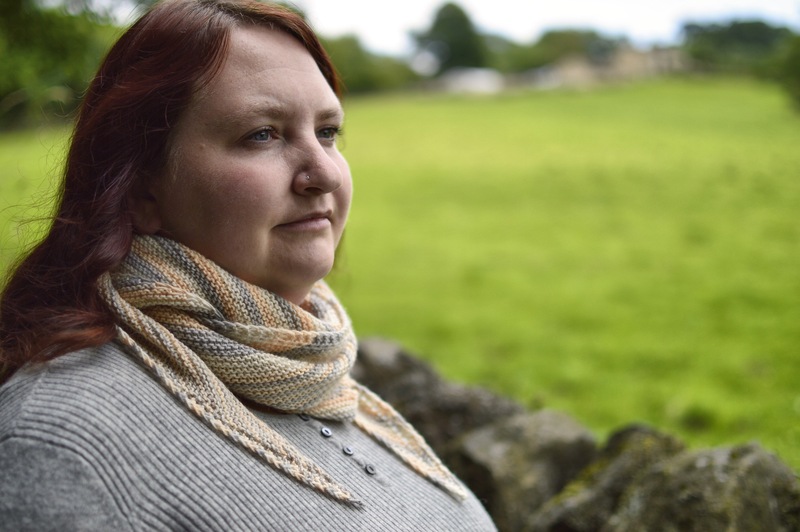 This squooshy sample was knitted in Pendle 4ply in Apricot Tulip, Steel, and Linen. The pattern is listed as being for DK, but it will work in pretty much any weight yarn – 4ply, sport, DK, worsted, or aran. Next up is my DK weight Colour Trail – this cosy and elegant shawl is knitted in Titus DK, which is our superwash merino/silk blend. It makes a drapey and silky fabric, but isn’t so heavy that it’s not also quite cushy and bouncy. This sample used three x 100g skeins in the colour Briar Rose. And this sample is Trailblazer, which is the smaller scarf-version of Colour Trail, essentially. 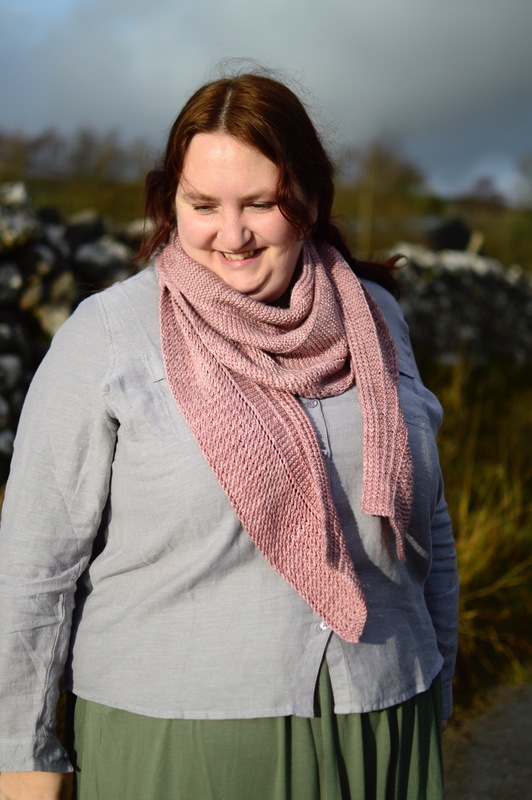 This one is knitted in Bedale 4ply, with added beads. Bedale 4ply is our baby yak/silk blend, and it’s really gorgeous and soft, but unfortunately I don’t think it’s being made any more – I have 22 skeins left to dye and then I think that’ll be it. This colour is Oak. It used just one skein of 4ply, so any 4ply with about 400m would work. 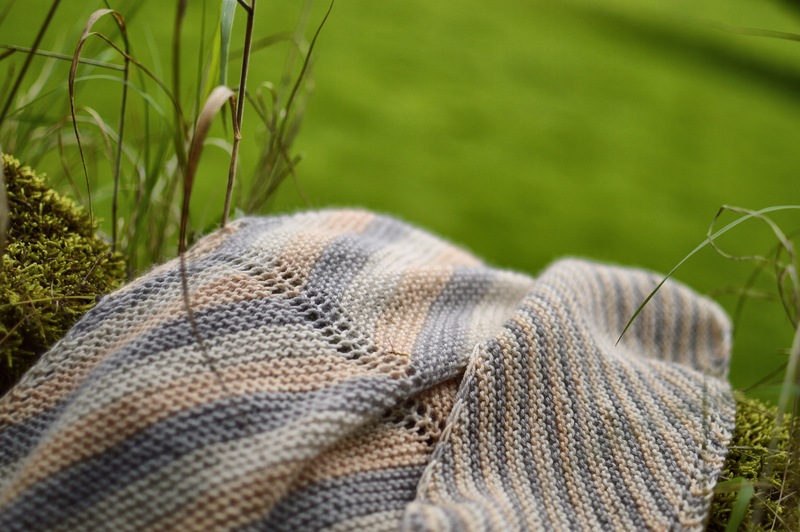 Titus 4ply would look great for this shawl, with its silky shine and softness. Next up we have Affinity, which is an asymmetrical triangular shawl, worked in 4ply. It uses two colours, and changes main colour halfway across. 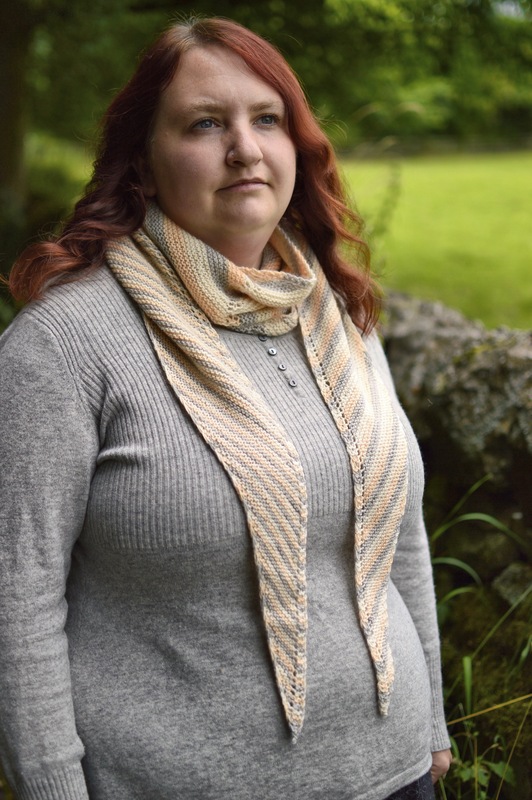 This versatile shawl can be worn in all sorts of ways – I don’t think I got it right here really but we were trying to show off the body of the shawl! This sample was knitted in Titus 4ply in Twig and Linen (one skein of each), and has sparkly gold beads in it. I can’t really leave this post without also giving the amazing Shadowlines wrap a mention. I’ve blogged about it before, but it’s stunning so it deserves another shout, I feel. This one was made using 10 x 100g skeins of Whitfell Chunky in Natural. 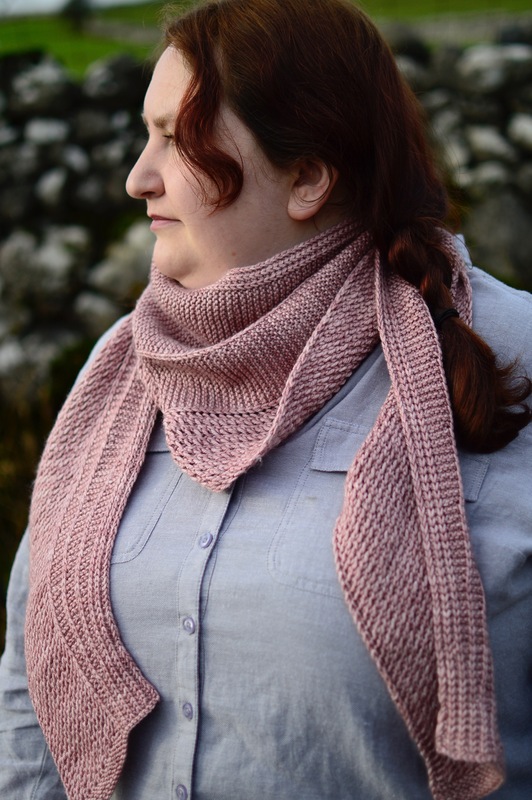 We’ll go through the cowls in Louise’s book soon too, but for now, don’t forget to have a look at the book’s page on Ravelry HERE.